Con Dao and Phu Quoc are two of twelve island districts in Vietnam and used to be the hells on earth during Vietnam war, but now both Con Dao and Phu Quoc have become the famous tourist paradises of the country with a lot of beautiful tropical beaches, primitive forests, and historical relics, etc. So, if you want to explore two destinations in Vietnam trip, let’s check how to get from Con Dao to Phu Quoc below. Con Dao and Phu Quoc are the two biggest islands in the south of Vietnam having many similarities of geography and history. 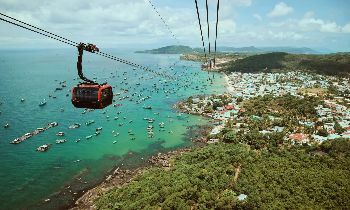 The distance between Con Dao and Phu Quoc is 337 km and there is no direct flight or boat from Con Dao to Phu Quoc, so tourists who want to travel from Con Dao to Phu Quoc have to move through many stops with different means of transportation. 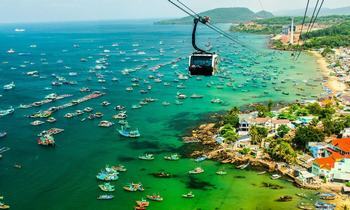 Con Dao is an island district under the administration of Ba Ria-Vung Tau province in the southeast of Vietnam. 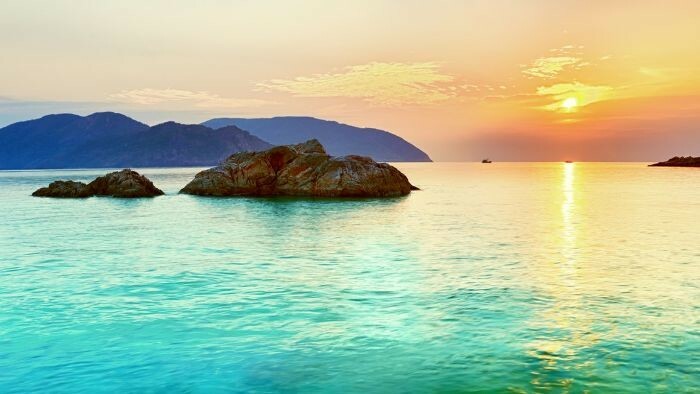 According to statistics in 2014, Con Dao has an area of ​​76 km2 with a population of 8,360 people, so population density of this island is relatively low with 110 people/ km2, and for this reason, the island area has many beautiful pristine scenes. Con Dao is an important ecological preservation place of Vietnam and one of the key areas for tourism development in the country. 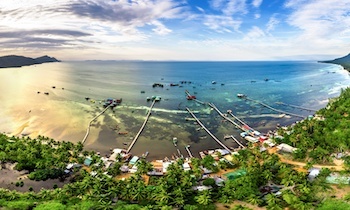 Phu Quoc is the largest island district of Vietnam under the administration of Kien Giang province in the Mekong Delta. Phu Quoc is an island located separately from the mainland and is also the largest island in Vietnam with a large area of ​​up to 574km2. 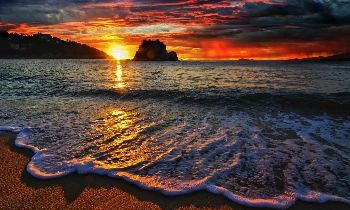 The island is located in the southwest of Vietnam in the sea of the Gulf of Thailand. Phu Quoc island is quite close to Cambodia, only about 14 nautical miles from the coast of Kampot province. As for Vietnam, the island is 65 nautical miles from Rach Gia city 120km and Ha Tien town is about 25 nautical miles. The distance between Con Dao and Phu Quoc is 337 km, and there is no direct flight between two destinations, so if you want to explore Con Dao- Phu Quoc in your Vietnam trip, you have to come back Ho Chi Minh city from Con Dao, and here, there still have numerous options to transport for you to travel from Ho Chi Minh City to Phu Quoc island. From Ho Chi Minh city, you go to Mien Tay bus station to take the car to Rach Gia and from Rach Gia pier, you continue to take the boat to Phu Quoc island. At Mien Tay bus station, you should ask for the car to Rach Gia, Kien Giang, and then buy the ticket to start your itinerary to Phu Quoc. 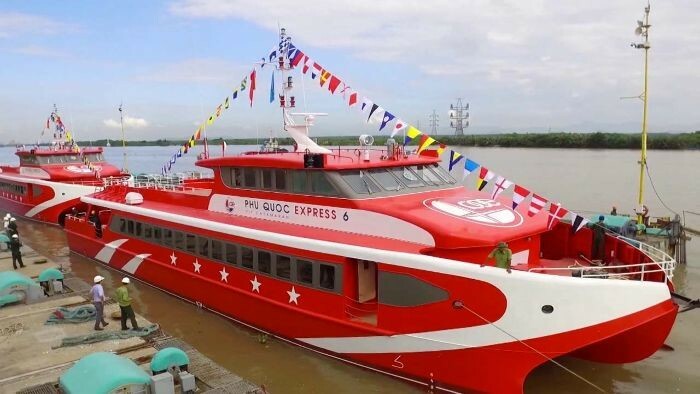 To facilitate the trip and save time one at Rach Gia pier, the fastest way to travel from Ho Chi Minh City to Phu Quoc island is to take a car at 23:00 or 0 am. The distance between Ho Chi Minh city to Rach Gia is 280 km. The time from Ho Chi Minh City to Rach Gia is about 6.5 hours. If you go at 23:00, you will arrive in Rach Gia at 5:30 am, and if you go at 0 am, then you will arrive at 6:30 am. You will save one night to Phu Quoc if you travel in this duration, trying to sleep on the car, otherwise, you will lose a lot of energy. When you arrive at Rach Gia, you can choose to take a walk, catch a motorcycle taxi or a taxi to Rach Gia pier. Because the distance from Rach Gia bus station to Rach Gia pier is quite close (about 1km), so if you want to wander to see the streetscape, you can for a walk, but the best way is to catch a taxi, it is quick and not expensive. At the pier, you continue to take the boat to Phu Quoc island, it takes 130 km from Rach Gia to Phu Quoc. There are about 5 shipping lines serving your trip, however, we recommend you to take the Super Dong or Duong Dong Express boat. The ships of these two companies are big, clean, and good service. 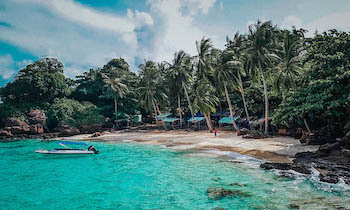 There is still an extremely rewarding Phu Quoc travel experience that you should not forget to book a train ticket in advance, make a round trip ticket to avoid selling out and have a good seat. 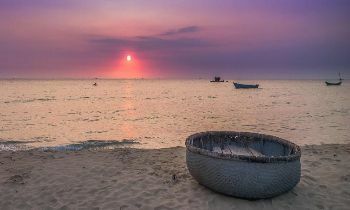 Time to get to Phu Quoc is about 2 hours and 45 minutes, you can sleep or sit on the deck to watch the seascape or TV. Compared to the road, the airway is the fastest and most convenient way to move from Ho Chi Minh City to Phu Quoc island. 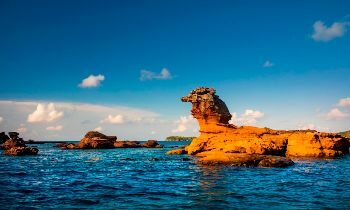 The only thing you need to do is to book a plane ticket about 1-2 months before the trip, especially during the peak tourist season, because tourists to Phu Quoc island are very crowded, so the ticket to the island is always sold out. 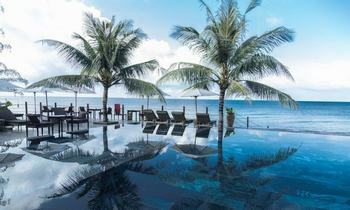 So if you have a plan of traveling to Phu Quoc, you should book tickets as soon as possible. Every day, there are about 5 flights at Tan Son Nhat airport to Phu Quoc island. The earliest trip is 6 am and the latest flight from Phu Quoc island to Tan San Nhat is 14:00. 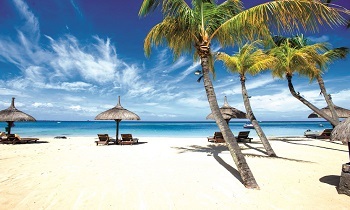 Fares range from VND 570,000 - 1.700,000/ ticket/ person depending on the airline and the departure time. Located in the south of Vietnam, Con Dao and Phu Quoc has some similarities of geography and history but featuring its own unique characteristics that you have to visit to feel the differences. If you feel this information above useful for you, don’t hesitate to like and share with others. Thank you!